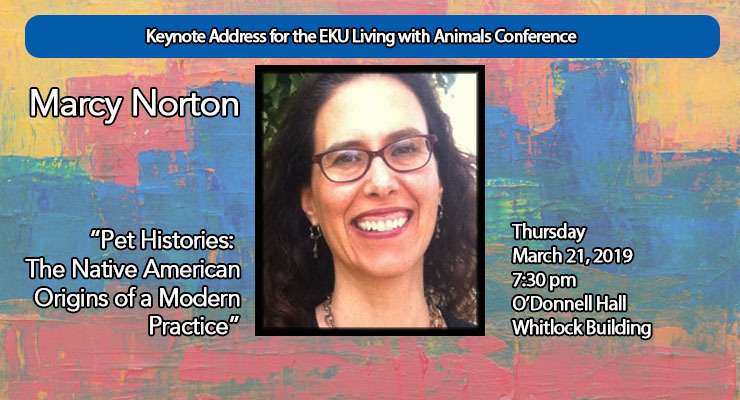 "Pet Histories: The Native American Origins of a Modern Practice"
Marcy Norton (Ph.D. Berkeley) is a historian of the early modern Atlantic World, with a focus on Latin America and Spain. Much of her research is guided by two questions: How did colonialism shape the Americas? And how did Native America shape European modernity? Thematically she is most interested in writing history that explores the intersections of environment, embodiment and thought, concerns that have guided her work on the history of food, drugs, science and inter-species relationships. Her publications include Sacred Gifts, Profane Pleasures: A History of Tobacco and Chocolate in the Atlantic World (Cornell University Press, 2008, winner of the best book prize from the Association for the Study of Food and Society), “Subaltern Technologies and Early Modernity in the Atlantic World” (Colonial Latin America Review, 2017) and two articles that appeared in American Historical Review, “Tasting Empire: Chocolate and the Internalization of Mesoamerican Aesthetics” (2006) and “The Chicken or the Iegue: Human-Animal Relationships and the Columbian Exchange” (2015), which won the Council on Latin American’s history Vanderwood Prize for the best article in Latin American History. She also co-edited (with Ralph Bauer) a special issue of Colonial Latin America Review entitled “Entangled Trajectories: Indigenous and European Histories” (2017). She is currently finishing a book about colonialism and human-animal relationships in early modern Europe and America, which will be published by Harvard University Press. Sponsored by the Animal Studies Program, the Department of Psychology and the Honors Program.